Faith is a really difficult concept to explain. When we say that we have faith in Christ, we do mean that we believe that Jesus is the Son of God, that He died on the cross for our sins, and that He rose from the dead. But we mean more than just acceptance of those facts. Faith in Christ is also about trusting ourselves to Him, about putting our lives in His hands. Whenever we see people place faith in Christ, it leads them to commitment and change. We cannot see faith, but we can its evidence in our lives. When Jesus welcomed the children, He used them as an example of the kind of faith that He requires of His disciples. The children came to Jesus in love and trust. They did not demand or expect anything from the Lord. They just wanted to be with Him. They didn’t care what others thought about their open expressions of love for Jesus. They were not ashamed to come humbly to Christ. Do we show that kind of faith in Jesus? Jesus loved children, and so should we. Serving in children’s ministry at church can be stressful but also deeply rewarding. There is a sense in which becoming a Christian is a very simple thing. While faith may be hard to explain even when you are an experienced Christian, even a young child can understand the gospel’s call to repent of sin and turn to Jesus. 1. How well did you understand the Christian faith when you first trusted in Christ as Savior? How has your understanding of salvation grown since becoming a Christian? 2. Have you ever had the opportunity to serve in children’s ministry? How were you blessed by the experience? God’s plan from the very beginning of history is for marriage to be a lifelong, sacred bond. To my knowledge, none of our middle school students have married yet. So the application of today’s tough teaching from Jesus is for the future. But you should ask God to begin preparing your hearts and minds right now in two important ways. First, plan to marry one person for life. 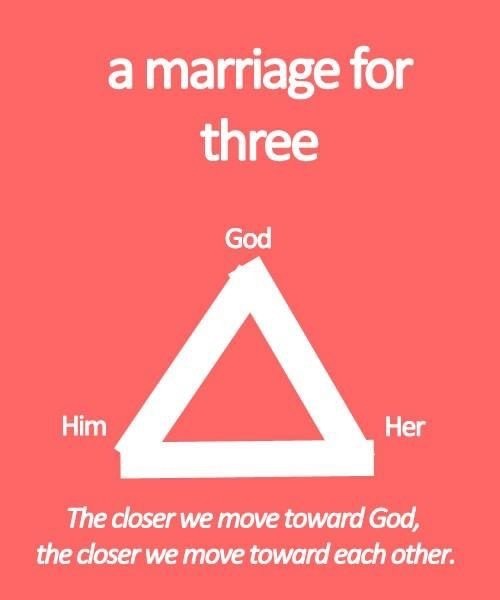 Second, that means that after deciding to receive Jesus Christ as your Lord and Savior, the most important decision you will ever make is whom to marry. So, you should be ready to do what the old knight told Indiana Jones in the epic movie The Last Crusade as Indy was trying to guess which cup was the Holy Grail: Choose wisely! I am going to be very straight forward and say that as middle school students, you do not need be dating or courting right now. A boyfriend or girlfriend at your age will not make your life better, only more complicated, stressful, and possibly painful (emotionally). Really, you may not even be ready for a boyfriend or girlfriend even when you are in high school. Your focus now should be on your relationship with God, your family, your school work, and your extracurricular activities (in that order). Finally, when it is the right time to think about whom you might consider for marriage, please listen to the advice of godly adults who care about you. Look for proven evidence of a real commitment to Christ in the young woman or man above all else. Okay, enough preaching from a teacher – time to see exactly what Jesus said on this topic. 1 Then He arose from there and came to the region of Judea by the other side of the Jordan. And multitudes gathered to Him again, and as He was accustomed, He taught them again. • In Jesus’ time, some religious leaders taught that divorce was okay for any reason, while some taught that it was only okay in cases were a spouse had committed adultery. The Pharisees want Jesus to pick a side and then draw heat from the side He doesn’t pick. But Jesus outmaneuvers them by directing them back to God’s original plan when He created the first man and woman. • Deuteronomy 24:1-4 was intended to give legal and economic protection to women when their husbands divorced them. Jesus says that Moses (the author of Deuteronomy) created these procedures because of the “hardness of heart” of people who were already determined to divorce their spouses. • Again, as middle school students, you are not yet married. When you read Scripture, God does not want you to worry about what other people do or have done, but for you to plan to follow His will for your lives as taught in His Word. 1. Have you thought before about what kind of person that you want to marry? Where do godly character traits fit into your hopes? 2. In what ways are your growing right now to be a godly husband or wife for someone else one day? 3. Do you have godly mentors in your life right now? Who are they and how are you letting them speak God’s truth into your lives? We have to take sin seriously. This isn’t just me saying this – these are the words of Jesus. Today, our Lord reminds us of one of the most important lessons of the Bible. Going all the way back to when Cain grew jealous of his brother Abel and murdered him, God has always warned us to be on guard against sin. This deadly enemy is always “crouching at the door” of our hearts, but we must “master” it through reliance on God’s Word and Spirit. • Verse 42 warns us that as much as sin hurts our own souls, it is even worse when our sin leads others into sin. Other people are always watching us. If we have publicly claimed to be followers of Jesus Christ, what we say and do will affect how others think about God and sin. If you really care about your friends and family, especially those who may be lost, then this warning alone may be enough to get you to take sin seriously. As a teacher, it is powerful motivation for me! • Jesus is not literally telling us to cut off our hands or feet or cut out our eyes. A few people in church history have actually tried to hurt themselves physically to get rid of sin (example: Martin Luther), but it did not work. Sin remained in their hearts and no amount of self-effort could get rid of it. • What Jesus is doing in verse 43-48 is called “hyperbole,” a form of extreme exaggeration to prove an important point. He means that sin is so deadly to our souls that we must do whatever it takes to defeat it. • Only a personal walk with Jesus Christ can help us defeat our deadliest enemy. This is what Jesus means in verses 49-50 when He talks about His disciples needing to be purified with “salt” and “fire.” We need to rely on the transforming power of the Holy Spirit to give us victory over our sin. As we meditate on God’s Word and call out to Him in prayer, He gives us His strength to resist sin and instead keep God’s commands and do God’s will. Only God can empower us to be the people that we and He wants us to be. 1. 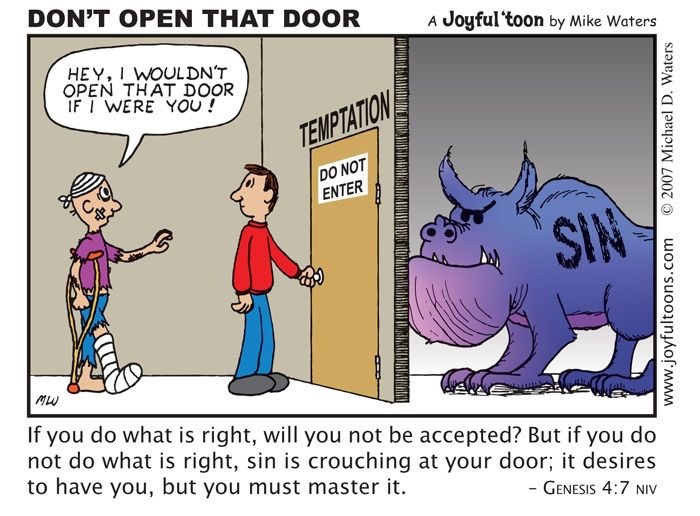 When did you first get serious about trying to overcome sin in your life? Are you serious about it right now? 2. Think about the days when you spent time seeking God in His Word vs. days when you did not. Was there a difference in your struggles against sin when you contrast those two types of days? We have many different Christian denominations represented at our school. 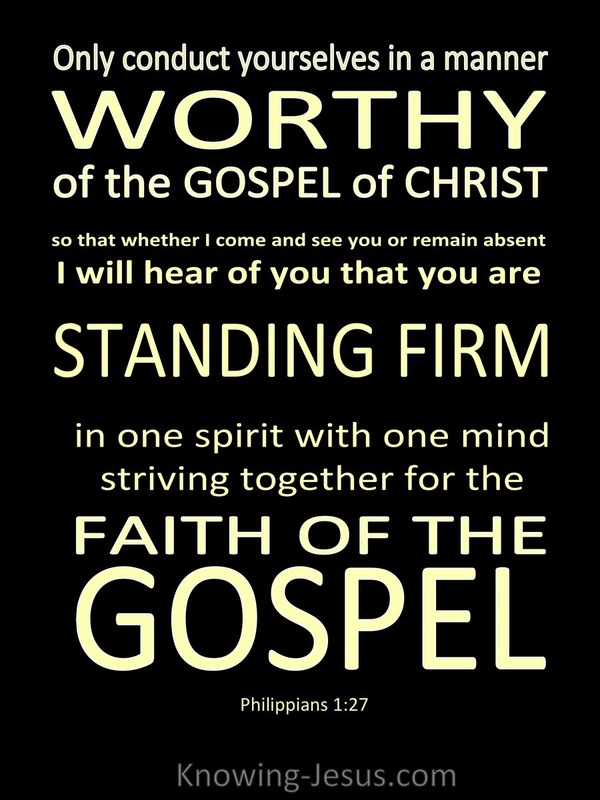 But we have a statement of faith that focuses on Jesus as the only source of our salvation and the Bible as the only perfect Word of God. We encourage students to study the Bible and know what they believe and why. But we will disagree with each other on some minor issues and that is okay. As Jesus tells us in today’s passage, if two people or groups are both serving the Jesus of the Bible, then they are on the same spiritual team. 39 But Jesus said, “Do not forbid him, for no one who works a miracle in My name can soon afterward speak evil of Me. 40 For he who is not against us is on our side. 41 For whoever gives you a cup of water to drink in My name, because you belong to Christ, assuredly, I say to you, he will by no means lose his reward. • John’s question was probably prompted by Jesus’ words that He just spoke in verse 37. Jesus had just told His disciples to receive one another in love, but apparently they were having a conflict with another group of disciples that also ministered in Jesus’ name. • Christians will have conflicts with each other at times. The important thing is that we work through our differences peacefully and put our focus on our unity as brothers and sisters in Christ. • We should have supportive attitudes towards others who are serving Christ. When we help people who are doing the Lord’s work, we are doing the Lord’s work, too. 1. Do you have any conflicts with other Christians right now? Pray for a forgiving attitude and look for an opportunity to make peace with them soon. 2. Are there any Christians in your life that you might be able to help or join with in serving the Lord? Maybe you can talk with them about ways that you can work for Jesus together. We all want to be important. We want to feel like we matter. The world tells us that the more we can do and the more people who listen to us, the more valuable we will be. But Jesus says that life is different in the kingdom of God. In our Father’s household, greatness is found by humbling ourselves and joyfully letting God get the glory. We remember God’s great love for us in giving us His Son, and then that love flows out into serving others. For the Christian, the way up is down. • Remember that Capernaum was Jesus’ home base for His ministry operations. He has retreated here before getting ready to go to Jerusalem for His crucifixion. The house Jesus is staying in may have been Peter’s own home, and the child that Jesus calls may be Peter’s son. • The disciples’ argument may have been prompted by the the fact that only Peter, James, and John got to see Jesus’ transfiguration. Meanwhile, the others had failed to cast out the demon from the mute boy. They took their eyes off Jesus and were comparing themselves to each other. • If the disciples could fall into the temptation to seek personal glory in ministry, then we ordinary Christians definitely need to be on guard. Selfishness and pride can hurt our witness for Christ, our relationships with other Christians, and our walk with God. 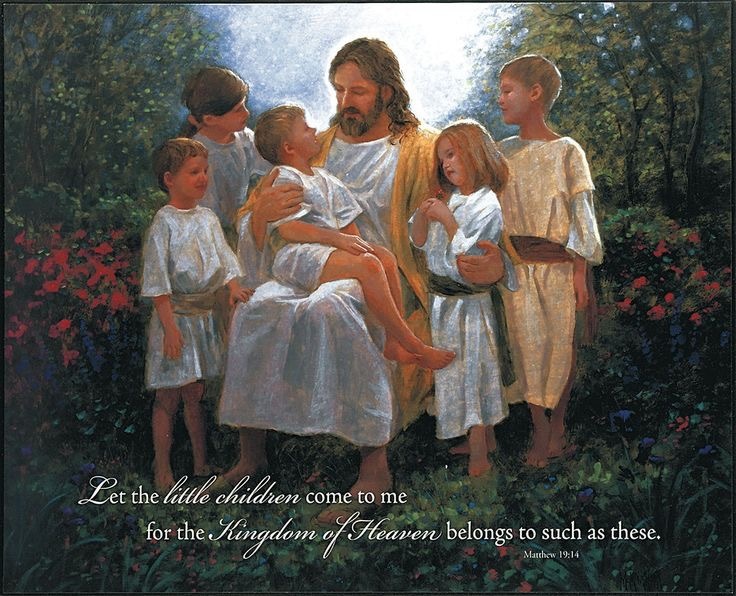 • By “little children,” Jesus probably means humble believers following Him. By showing kindness, love, and acceptance to other Christians, we show our love for Jesus and for our heavenly Father. This humble “receiving” or loving of one another is the godly opposite of the worldly competition for power and glory. 1. Are there any things that you think you’re trying to “do for God” that you might really be doing to feel important or get noticed by others? It might be fine to keep doing those things but pray for God to give you the right motives (loving Him and others). 2. 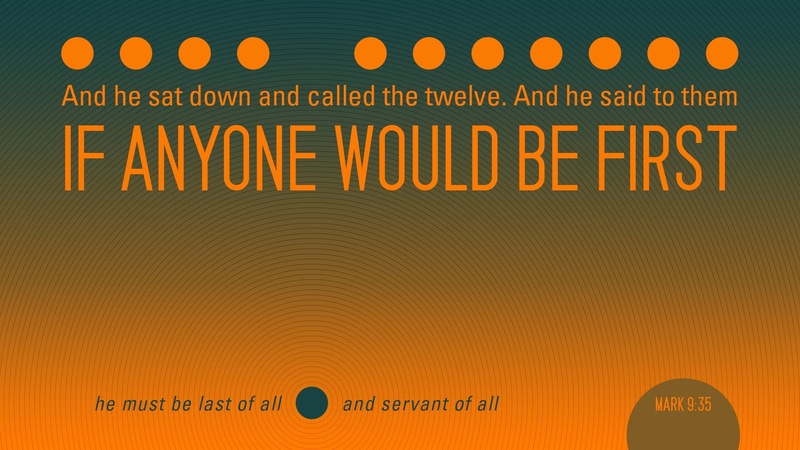 In what specific ways might you be able to humbly serve your family and friends this week?